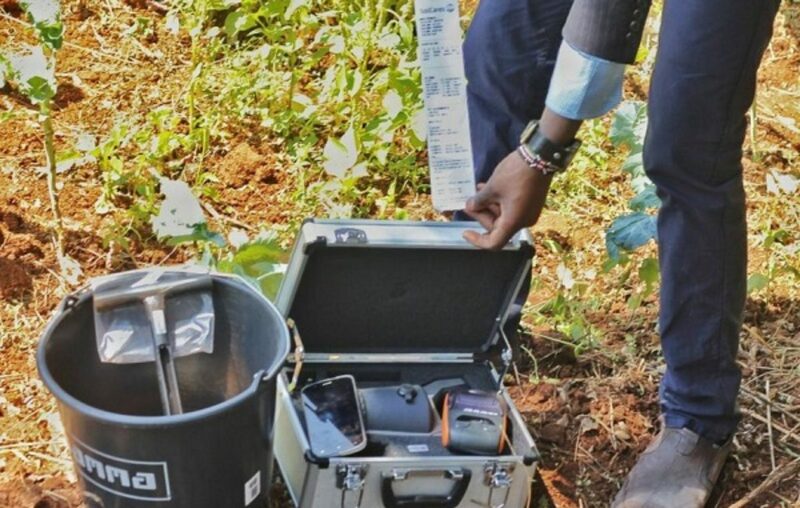 The SoilCare scanner is a portable device that uses near-infrared technology and a connection to SoilCare global soil database to accurately determine the soil’s properties. 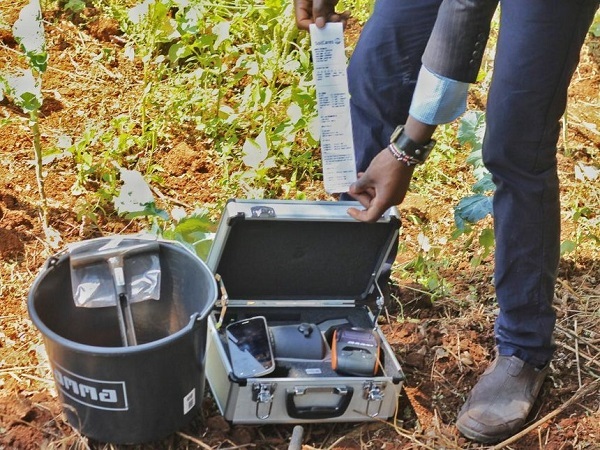 With the high-end soil testing technology now in Uganda, smallholder farmers can now test their soils before planting their crops to enhance productivity. The SoilCares Scanner provides on-the-spot soil analyses and fertilizer recommendations. Farmers cannot only now find out minerals lacking in their soils but they can also know specific fertilizers to use in boosting soil fertility. It measures the amount of Nitrogen (N), Phosphorous (P) and Potassium (K) and electric conductivity in the soil and determines the temperature, pH, and organic matter level. It is an initiative by Agri Pro Focus, a network consisting of multiple stakeholders dedicated to supporting farmers in achieving their objective in commercial farming. They are teaming up with SoilCare, a DDutch-based organization giving practical information about farmer crops and soils. Janet Apio, a soil analyst at SoilCare explaining how the scanner works notes that it is important to operate the scanner by a technical person. As such farmers are encouraged to seek service with the service provider at a fee of Shs50,000 per sample scanned. -As you start the process of scanning, ensure your smart phone is on and the blue tooth app is connected. -Use the calibrator to start the scanner, dig a soil of 20 cm deep to get the sample and put it in the plate for testing. Then press the button on the scanner to start scanning. -It is a requirement that you carry out the scanning five times. -Then the result is portrayed in the smart phone which uses blue tooth to screen the result. -You can print it and avail the same to your client. This means the phone must contain data in order to relay the results. -It is an easy to use hand-held device conducting fast on the spot soil quality checks upon which the expert can make local crop specific fertiliser recommendation. -Scanning a soil sample takes 10 minutes and it provides soil report consisting of soil status, suitable crop types to be grown on a specific soil type and fertilizer recommendation. -This is done for the benefit of the farmer to get increased yield in his or farming initiative. “The team at SoilCare usually carries out soil clinics countrywide where farmers can access the service but individual farmers can also conduct them directly. This service is also being provided to farmers in Kenya,” says Apio. “The reason farmers are advised to access hire service is because the scanner is a little costly. The hardware scanner costs about 3,000 euros (about Shs13m),” the agronomist advises. It is also important for smallholder farmers to use healthy seeds, however, good yields starts with the soil. Other than farmers getting soil testing service from SoilCare team, there are district extension service workers and input suppliers who can provide this service. It is therefore upon the ministry of agriculture and private input suppliers to ensure that the scanners are purchased to provide the service to the farmers.